The expedition, ‘Navika Sagar Parikrama’, is being led by skipper Lt Cdr Vartika Joshi and five naval officers who will return in April 2018. 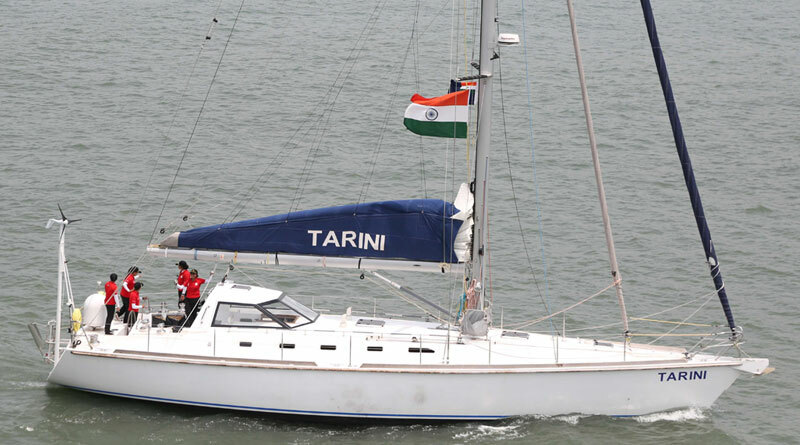 INSV Tarini left Port Stanley (Falkland islands) on February 4 for its onwards journey to Cape Town (South Africa). It had arrived at Port Stanly on January 21 after completing the third leg of its journey. CBE, Governor of the Falkland Islands and her Majesty’s Commissioner of South Georgia and the South Sandwich Islands, Nigel Philips, had welcomed INSV Tarini in January. The officers aboard Tarini interacted with students from Falkland Islands Community School for Secondary Education, Brownies and Girl Guides, Beavers and Boy Scouts and young adults from the Hockey Club. The crew also visited sites related with the 1982 conflict and paid respects at the 2 Para memorial. They also visited the Argentine Military Cemetery at Darwin. Governor Philips and his wife also visited INSV Tarini. The Falkland Islands Hockey Team and local populace also visited the vessel while she was open for onboard visits. Team Tarini also visited Infant, Junior and Mount Pleasant Schools and interacted with the children and also with Falkland Women’s Association and the Women’s Network. Lieutenant Commander Vartika Joshi along with Lieutenant Commander Pratibha Jamwal gave a talk and presentation at the Falkland Islands Museum. The crew also visited various military facilities including HMS Protector and interacted with British Forces in South Atlantic Islands. They also experienced the vast ecological and biological diversity of the islands which is particularly rich in wildlife. This is in consonance with the theme to promote awareness about marine pollution and contribute to their efforts towards environmental consciousness. The next port halt is scheduled at Cape Town, South Africa on March 8. The expedition, ‘Navika Sagar Parikrama’, is being led by skipper Lt Cdr Vartika Joshi, who is from Rishikesh. 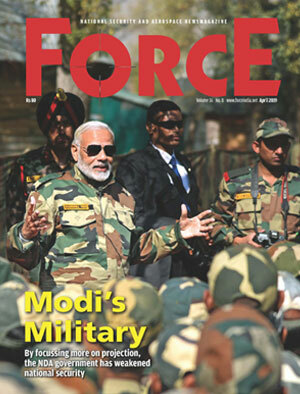 She is accompanied by equally accomplished officers, Lt Cdr Pratibha Jamwal from Kullu, Lt Cdr Swathi P. from Visakhapatnam, Lt Aishwarya Boddapati from Hyderabad, Lt Vijaya Devi from Manipur and Lt Payal Gupta from Dehradun. The vessel will return to Goa in April 2018 and the expedition is being covered in five legs.